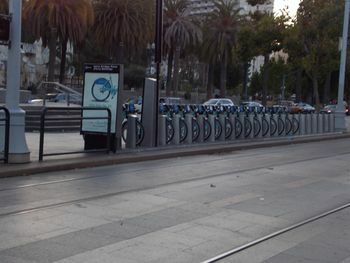 Ford GoBike is a regional bike sharing program for the Bay Area. Cities served include San Francisco, San Jose, Oakland, Emeryville, and Berkeley. The main purpose of the bike sharing system is to enhance connection to and from transit with bicycles. Ford GoBike was originally known as Bay Area Bike Share. Bike share members can pick up a bicycle at designated bike share station and return at any bike share station. Annual, 3-day, and 24-hour membership is available. Basic membership includes unlimited rides in the time period as long as the bike is returned in 45 minutes or less. Additional fees will be charged if the bike is returned beyond the first 45 minutes. See this page for current bike station info. This page was last edited on 22 April 2019, at 17:48.